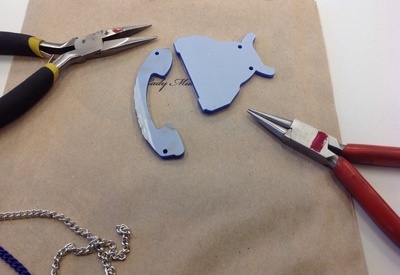 An interesting activity for older children, and a good way to introduce them to more complex crafting and tools. 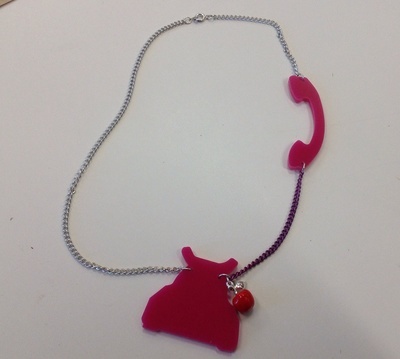 Kids will love these brightly coloured telephones and dangling charms. Thanks to the Red Door Gallery for being the inspiration behind this piece and providing the materials and tutorial. 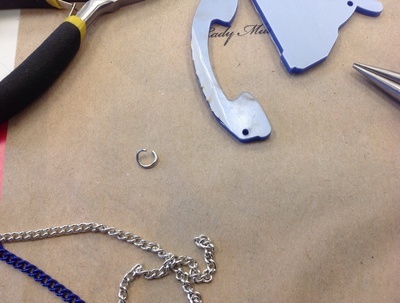 The acrylic telephone and receiver should come covered in a protective sheet. Leave this on until you have finished working on this piece, so you don't scratch the telephone while working with the pliers. The key technique in making this type of jewellery is using the jump rings to join the chains and the telephone. 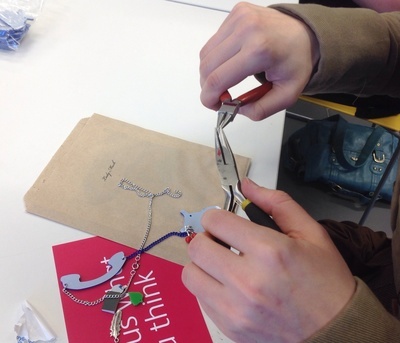 The best way to do it is to take to pairs of pliers, grab each of the jump ring, and twist in opposite directions. You'll then be left with a jump ring as in the second picture below. After that, it is simple to slip it through the hole on the telephone handset, and then slip it through the end link on the short, coloured chain. Then, take the pliers and squeeze it shut. Repeat with the other end of the coloured chain and the telephone receiver. Repeat this step of opening up the jump rings and connecting each piece of the chain. The short bracelet -size chain links to the handset. The long, necklace size chain links to the receiver. 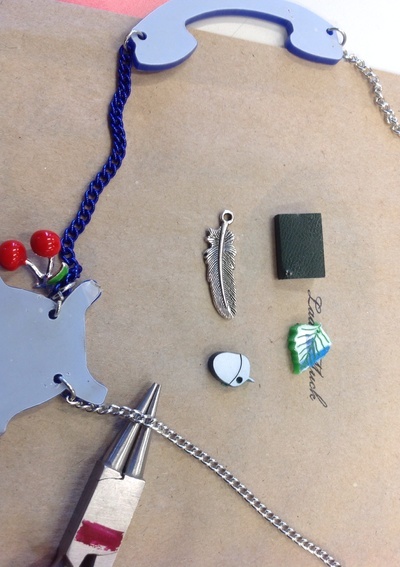 Once all the chains are joined, pick a charm and attach it to the receiver with another jump ring. Remove the protective sheet and enjoy! 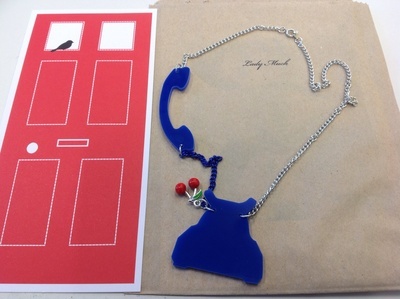 You can mix up colours, and different types of charms. You could even put two on, if you liked. 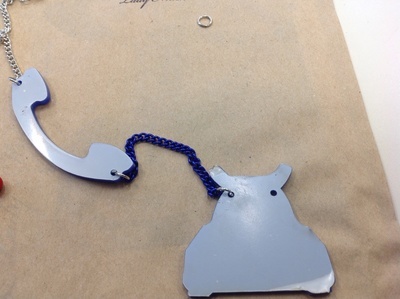 This technique could be used to make any kind of jewellery from plastic shapes, but the telephone is a good one because it has two sections, which adds interest to the piece.